Not as thick as New England clam chowder, Rhode Island clam chowder typically is made with quahogs, broth, potatoes, onions, and bacon. 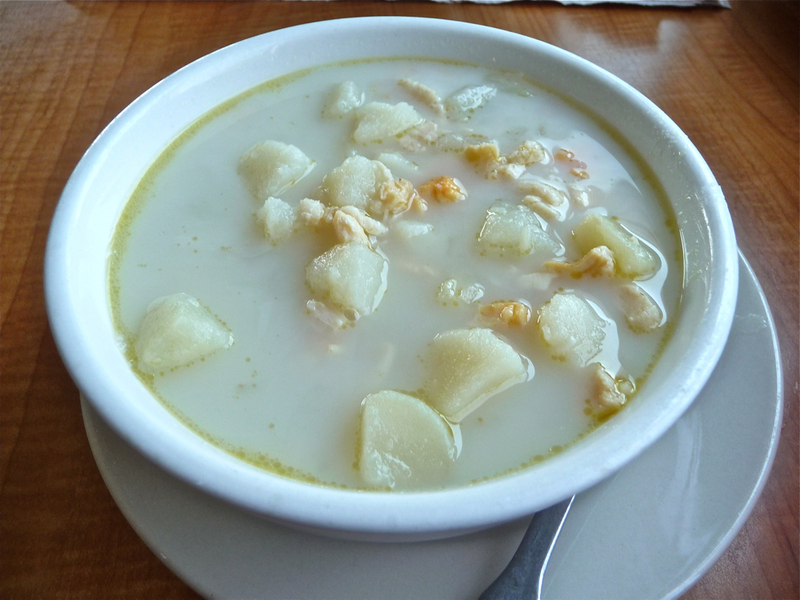 Some consider it an acquired taste given New England clam chowder is the dominant choice in these necks of the woods, but a few tries of the Rhode Island kind and it starts to become a lifelong friend. 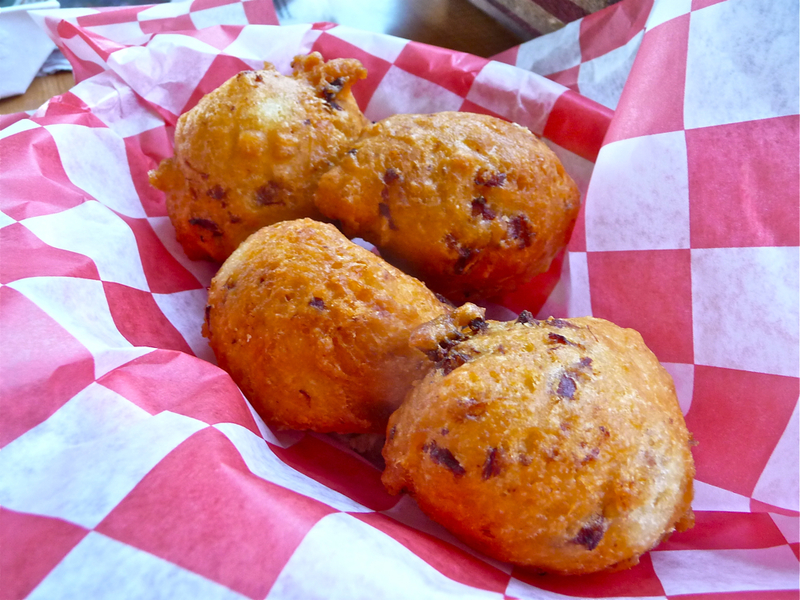 These deep-fried, ball-shaped morsels might not be the healthiest food, but satisfy as a great, affordable treat. There’s no one way to make a Rhode Island clam cake, but the best will be chock full of chopped clams, seasonings, and that moist, fried breaded exterior taste. 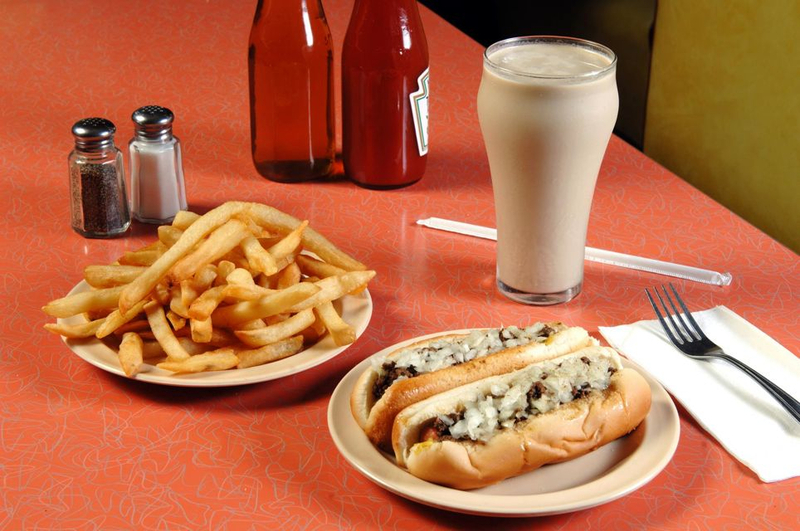 An Olneyville wiener is made with ground beef, yellow mustard, onions, celery salt, special spices and soybean oil on a steamed bun. Good advice before visiting Olneyville New York System Wiener at 18 Plainfield St. in Providence (401-621-9500): Never call a wiener a hot dog here. The Olneyville version differs as it is a long rope with a natural casing that is hand-cut daily, according to owner Greg Stevens. 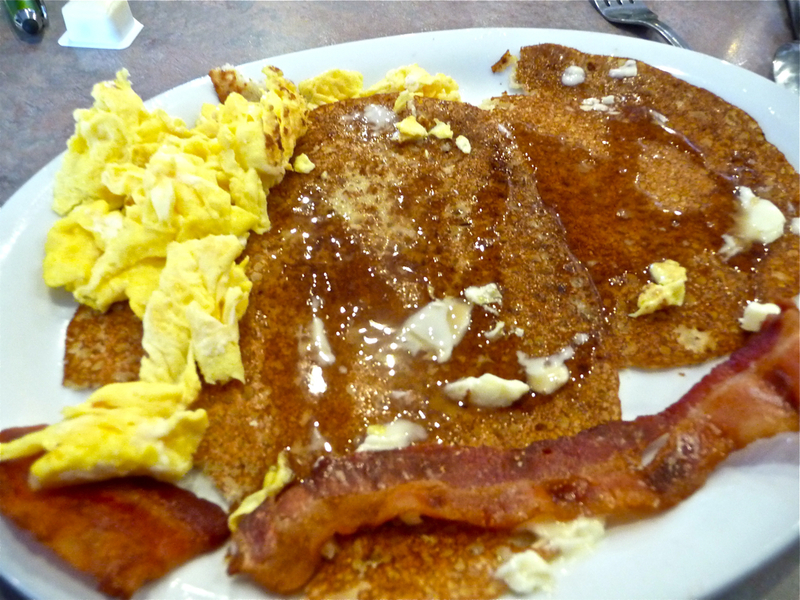 The James Beard Foundation, a famous proponent of American food cuisine, awarded Olneyville New York System for the 2014 America’s Classics Award. 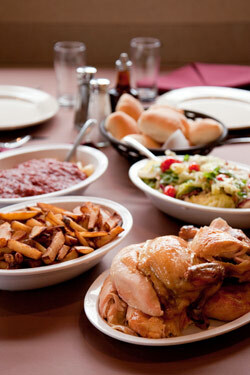 Most popular at Blackstone Valley restaurants in northern Rhode Island, the family-style chicken dinner typically consists of an all-you-can eat roasted chicken with salad, rolls, pasta in red sauce, and fries. Still going strong since the 1930s, the Rhode Island family-style chicken dinner is not only a weekend favorite destination, but also a popular meal at local weddings, anniversaries and business and political functions! Editor’s note: Wright’s Farm Restaurant seats 1,200 people, employs more than 180 locals and serves approximately 14,000 lbs. of chicken to about 12,000 visitors each week! The restaurant comprises 45,000 sq. ft., and even with that huge size, the waits can be quite long. Thankfully, Wright’s offers a 4,000 sq. ft. gift shop to make the wait easier that features clothing, gifts, books, toys, penny candy, homemade fudge, specialty foods and home and garden accessories. It’s really a terrific gift shop with a diversity of interesting and often tasty merchandise, thus trumping tackiness that can be experienced at so many tourist gift shops. Gray’s Ice Cream stand has been in business for more than 80 years, and it’s easy to understand why. First and foremost, the ice cream is fresh-tasting, quite creamy and full of flavor with the best being pistachio, coffee, blueberry, strawberry cheesecake and the seasonal pumpkin. Most ice cream stands don’t make their own ice cream anymore, so Gray’s gets extra points for sticking to tradition and doing things the right way by creating the flavors on their own. It’s in a lovely location, too, with farm scenes and stone walls. 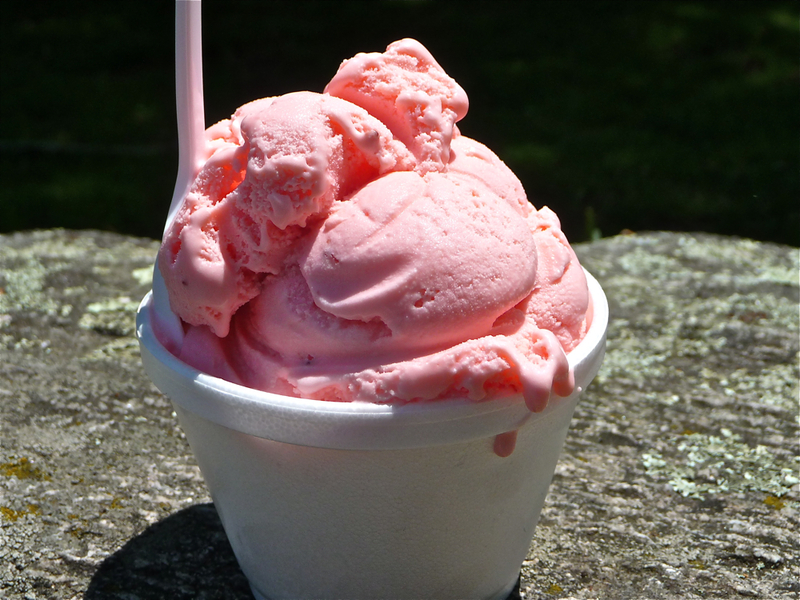 Gray’s Ice Cream is located at 156 East Rd., Tiverton. There’s something about Del’s Frozen Lemonade and the summer that make perfect partners, although this long time favorite Rhode Island treat is good any time of the year. With its origins dating back to 1840 in Italy, Del’s Lemonade has hit the spot for Rhode Islanders since starting business in 1948 as a small stand in Cranston. Since then the business has expanded with the quality remaining. This version of frozen lemonade is about the best you’ll find with its perfect mix of lemon taste, sweetness and snow. You’ll find Del’s Frozen Lemonade all over Rhode Island, whether at a Del’s truck or storefront. Awful stands for “Awful big, awful good,” and is a “mix” scooped like an ice cream with a “proprietary blend” that also includes milk and syrup. I know, sounds a bit secretive but this time-tested drink has become a signature item at Newport Creamery! Awful Awful was actually created in the 1950s by the now defunct Bond Company with the formula eventually being sold to Newport Creamery. Flavors include strawberry, vanilla, chocolate, mocha, chocolate mint and coffee. Awful Awful mixes are available, too, like Oreo, strawberry banana chip, cappuccino crunch & Choc O’ Nutter. If you enjoyed this article on must-try Rhode Island foods, please share the graphic below on Pinterest. Thanks!